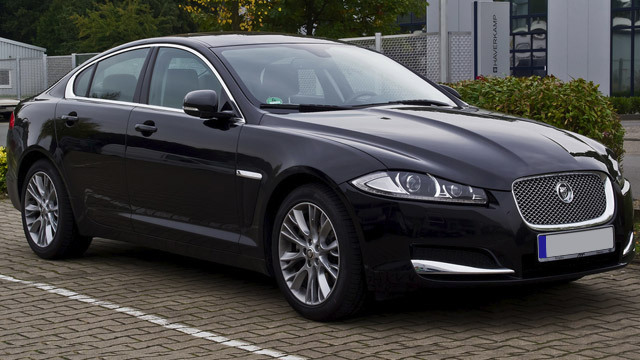 As a Jaguar owner, odds are good that you don’t take your luxury class vehicle to just any old Jaguar repair shop. It is very likely that you want to find a shop that is well known for reliability, and high quality repair work. Kerry's Car Care is well known for being just such a shop. We have the clean and organized shop that you want to see when you bring in your Jaguar. Don’t risk your car at a low quality shop, bring it to the Jaguar repair team at Kerry's Car Care. We are not all talk here at Kerry's Car Care. Our shop has the latest in computer diagnostic equipment, this is an essential high class tool that is needed to work on these heavily computer regulated cars. If your computer system isn’t operating at its best you may as well go to the gas station and pour gas on the ground. It is just as bad as a mechanical problem and our equipment can help optimize how your computer systems work. When you need something more to keep your car running well, like part replacements, Kerry's Car Care sources the highest quality OEM Jaguar parts in the area. Your Jaguar was built as a luxury car with the finest parts. Installing inferior parts does you a great disservice as it lowers the performance and longevity that you should expect from your Jaguar. We work hard to meet the high standards set down at the Jaguar factory at Kerry's Car Care, call up the support staff today for your appointment.